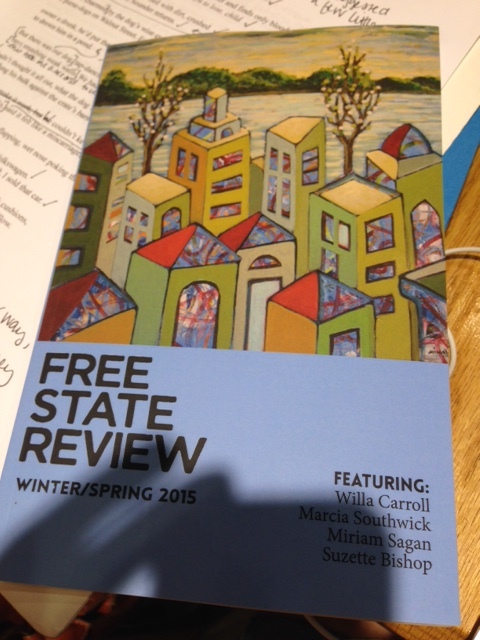 Grateful to have a poem, “Spin the Bottle,” in the newest issue of Free State Review. I’ve been a subscriber for awhile now and admired the poems, stories, essays within these pages. FSR can be called a lot of things: here are a few: unpretentious, energetic, freewheeling. Writers, check it out and submit.